In 1959 the company Soncini Alberto begins its activity of pumps production. 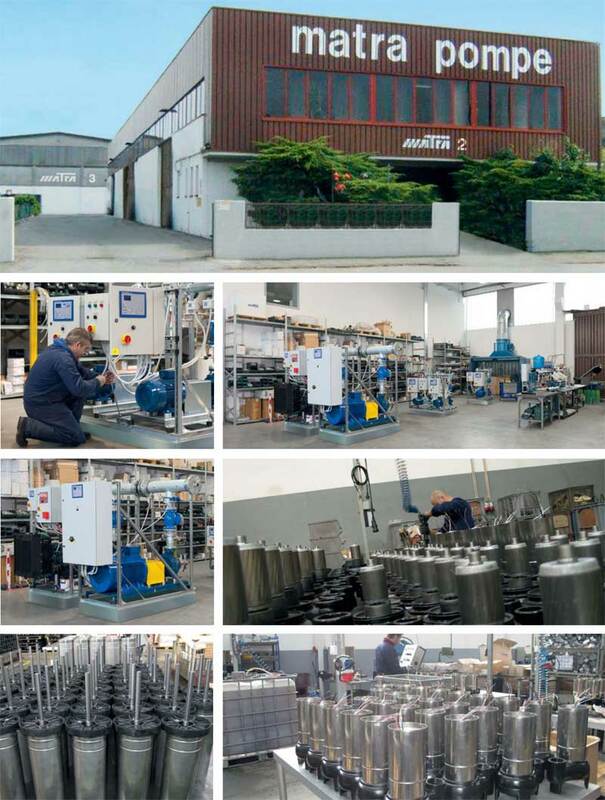 Right market strategies as the acquisition of some competitor companies for reducing production costs, allow the company to become in MATRA SAS before, and then in the MATRA S.p.A.
We are a stock company operating in the field of the manufacturing and distribution of electric pumps for water lifting and pressurization. Our range includes surface pumps, submerged and submersible electric pumps, booster pump sets for civil use and for fire fighthing. Pumps for circulation of hot and sanitary water and for conditioning as well, complete, togheter with a rich line of accessories, our proposal. With the pourpose to always propose solutions to the state-of-art that can optiomize the management of the energetic resources, we also have a wide range of inverters technologically advanced. We have been working on the national and internetional markets for more than 50 years; our seat is Nonantola (MO) but we also have factory in Modena. Over the years we have estabilished and developed some companies and relationshiop for the pump’s production. 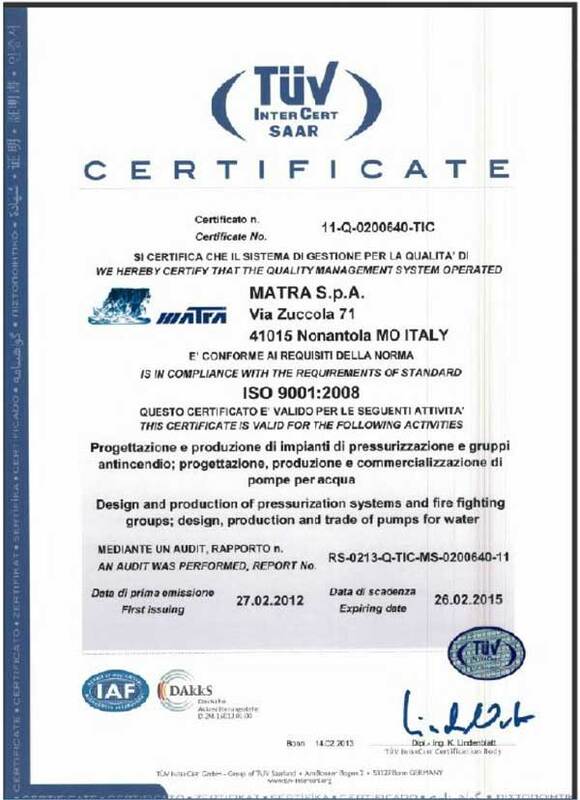 Being aware that the key of our own success is the ability to satisfy the clients with the supply of products and services of quality, MATRA Spa have obtained the certification of the Quality System UNI EN ISO 9001:2008. The brand, appreciated and known in this field, toghether with the experience and technical-commercial ability of our agents and distributors, enables us to sell our products in almost all the Countries in the world.